Help Angela unlock the secrets of dreams! Is this really happening, or is it just a dream? What was she doing there and would she find her way home? Maybe a light she saw in the distance will help her find the answers. 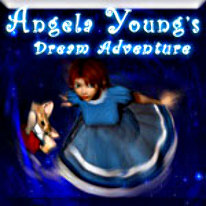 Packed with colorful scenes, original mini games and a different take on finding objects, Angela Young: Dream Adventure will captivate you for hours!